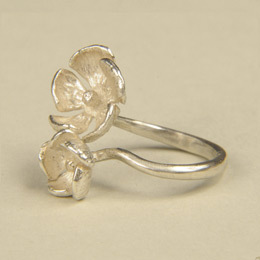 Jewels and other objets d’art are manufactured exclusively from silver and gold by traditional casting technique. 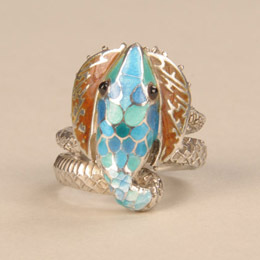 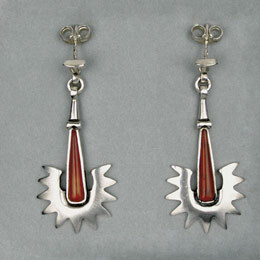 They are adorned with gemstones and casted enamels. 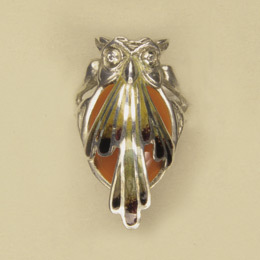 Every item is part of a limited series and comes with the certificate of origin and quality. 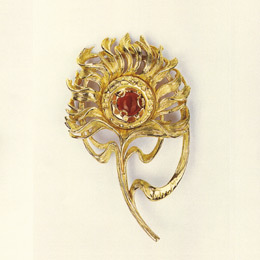 Brooch big – realization by A. Mucha’s design drawing in Documents décoratifs, 1902. 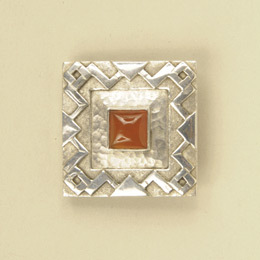 Brooch – inspired by Mucha’s design drawing from Documents décoratifs, 1902. 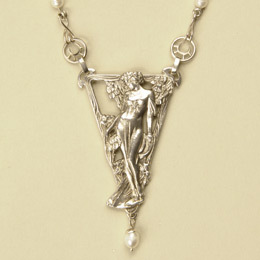 Pendant – inspired by Documents Décoratifs from Alfons Mucha. 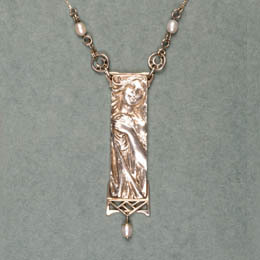 Pendant – inspired by Mucha’s Iris panneaux. 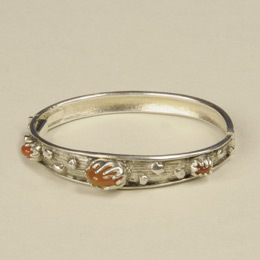 Ring – inspired by the drawing on the poster Medea by A. Mucha, 1898. 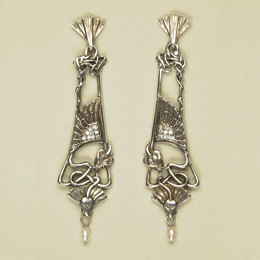 Earrings – realization from Alfons Mucha’s design for Georges Fouquet Jewellery. 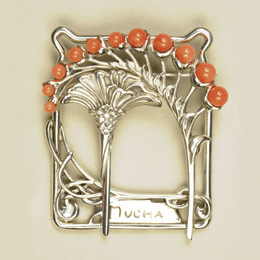 Brooch – design inspired by Mucha’s themes at the Mayor’s lounge in Municipal house in Prague. 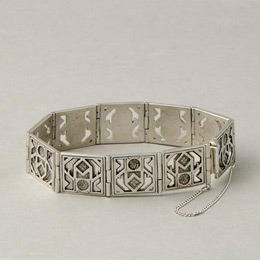 Bracelet – theme from Mucha’s glass decoration and textiles in Mayor’s lounge at Municipal house in Prague. 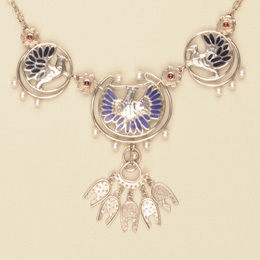 Bracelet – original design by Jarmila Mucha Plockova inspired by nature. 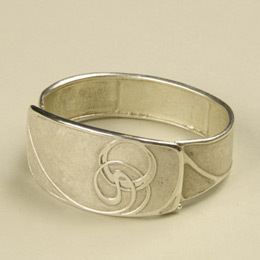 Bracelet – original design by Jarmila Mucha Plockova. 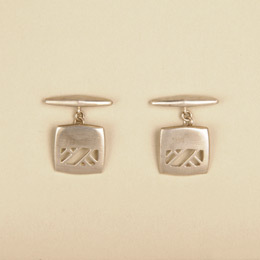 Cuff links – original design by Jarmila Mucha Plockova. 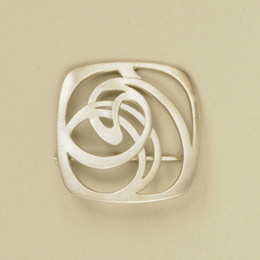 Ring, set – original design by Jarmila Mucha Plockova inspired by natural theme.